Brinjal is called as Kathirikkai in tamil, Vanakaya in telugu and Baigan in hindi. It is one of the common vegetable in Indian Kitchen. There are two ways of preparing this Brinjal Curry. One method is stuffing the masala in cross-cut brinjal and frying it. The second method is frying the lengthwise cut brinjal in gingelly Oil and adding spices to it. The second method is more easier. Please check below for step by step instructions and picture for preparing easy and tasty Ennai Kathirikkai Kuzhambu. Soak tamarind in hot water for 10 minutes. Squeeze the seeds and fibre to get the tamarind juice. Add salt, turmeric powder, chilli powder and coriander leaves to the Tamarind Juice. When they splutter add onions and garlic. Fry till onions turn translucent. Add brinjal and fry it in medium flame till the brinjal shrinks to half size. Add the grind-ed coconut, tomato mixture and fry it for 2- 3 minutes.Add the tamarind juice and allow it to boil. Cover the gravy with the lid and allow it to boil for 15 mins in low flame or till oil separates. This recipe is called Kathirikkai gothsu in telugu, ennai kathirikkai kuzhambu / ennai kathirikkai kolambu in tamil and egg plant tamarind gravy in English. Adjust chilli power to your taste. Tomato can be replaced by tomato paste. Coconut can be replaced by adding coconut milk. Tried out this recipe twice,great recipe. Your site has so many lovely recipes thank you for that! 👍it's really very tasty. i like this recipe nithi.. Thanks Friends for your comments / feedback / suggestions. 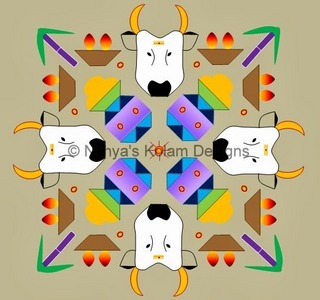 Your comments will motivate and help in improving my website. Happy Visiting ! 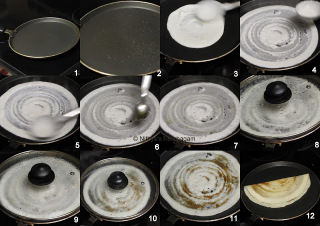 How to make crispy dosa ? 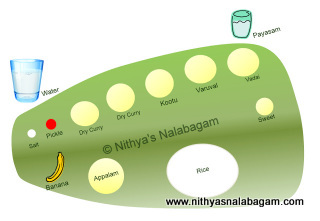 Copyright © 2013 - present Nithya's Nalabagam. All rights reserved. Powered by Blogger.